The Yankees have re-signed former first-round pick Slade Heathcott to a minor league contract, reports Joel Sherman of the New York Post (on Twitter). The Yanks non-tendered Heathcott this December on the heels of a season that limited him to just nine games. Injuries have long been a problem for the center fielder, although Heathcott is still heading into just his age-24 season and has a lifetime .268/.346/.404 triple slash in the minors. 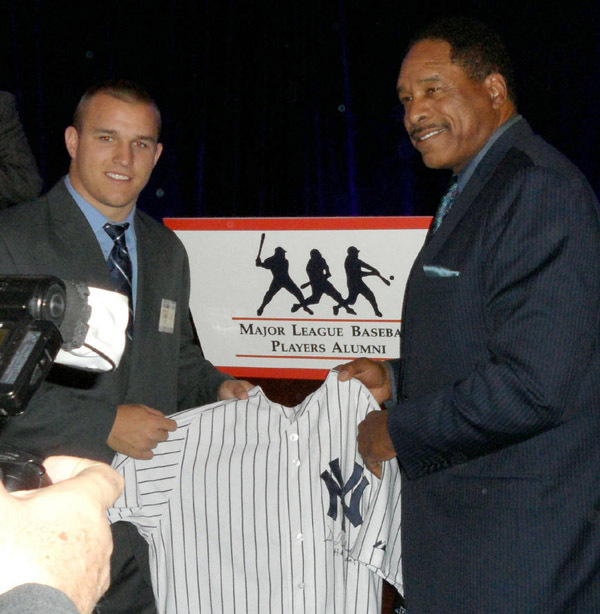 Somewhat painfully (for Yankees fans, anyhow), Sherman notes that the Yankees had intended to select Mike Trout with the 29th overall pick in 2009, but he went four picks prior to the Angels as a compensation pick for the loss of Mark Teixeira… who had signed with the Yankees.